Issue #1 - OUT NOW! Issue #1 of Feast or Famine has SOLD OUT at the Distribution level! You might be able to find a copy at your local comic book store. In case you cannot, go to OrderAlter.com, or click the button below to get a copy shipped directly to you! In a parallel dimension to our own, Nicholas Teska has won the energy race of the American Industrial Revolution. His chief rival, Alva Edison, died suddenly in a freak electrocution accident. Allowing Teska to use a tragic opportunity to revolutionize the availability of energy at a major turning point in human history. His inventions help to bring about a massive global shift in our understanding of energy, magnetics, and physics. Teska soon attracted the attention of an up and coming physicist from Germany, Dr. Alberline Stein. Together, they create Tacheon Industries, a laboratory designed to create the world of the future. One night, Teska is working late on a recent project, studying the radio signals from outer space, when he discovers a faint distress signal he believes has originated from a near by planet. He convinces Dr. Stein to help him build a portal to take the two scientists on a journey that no human has embarked on before! Find out what happens in the full Feast or Famine series, coming soon! Read a FREE 6 page preview of the ALL-NEW Sci-Fi Comic Book Series - Feast or Famine. 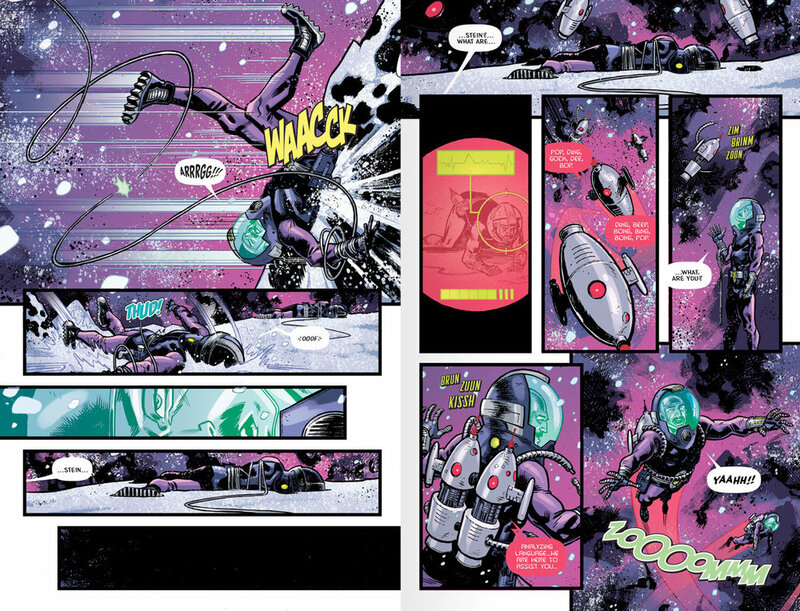 Just use the arrow buttons in the image gallery below to get a sneak peek at this amazing adventure through space and time, only from Alterna Comics. 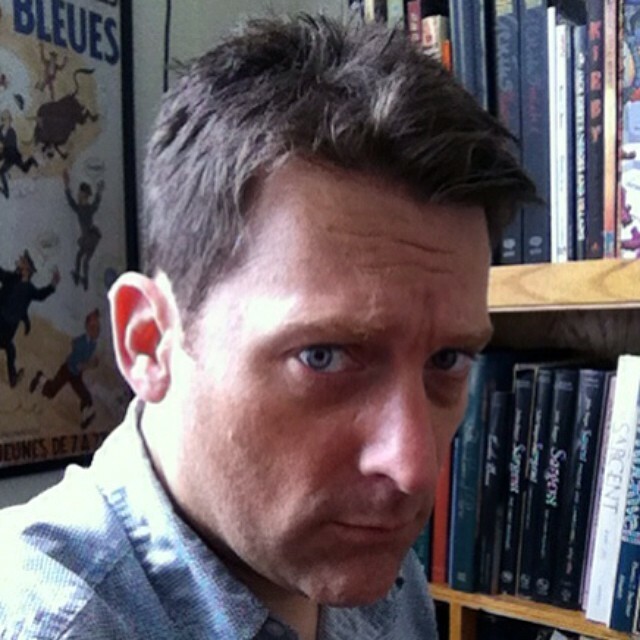 Dave Swartz is an American Artist, Writer, and Comic Book Creator. He has writen and illustrated a self-published comic book series called ‘Atlas:ORIGINS’. Dave attend the College for Creative Studies in Detroit, MI where he studied illustration and design. He’s had many jobs from freelance artist to, most recently, a creative director at a marketing firm. Recently he has made another shift to writing and illustrating his own original comic books. His bold style is a perfect pairing for the retro futuristic vision of the Feast or Famine series. You can view more of his work by visiting his website. Just click the button below to check out more of Joseph Cooper's portfolio. A very talented Letterer, and his work on this book has been amazing! Wes is not only a talented Letterer, but he’s also written comics such as Unit 44, Adrift, and the Undoubtables. You can check out more about him on his website by clicking the button below. We respect and will protect your privacy. Thank you for your interest in Feast or Famine series. You will now be notified of any news or updates about this all-new sci-fi comic book series. Want to know where you can find Feast or Famine near you, or if you just have a question for the creators. Use the short contact form below to send us a message. We'll try to get back to you as soon as we can!